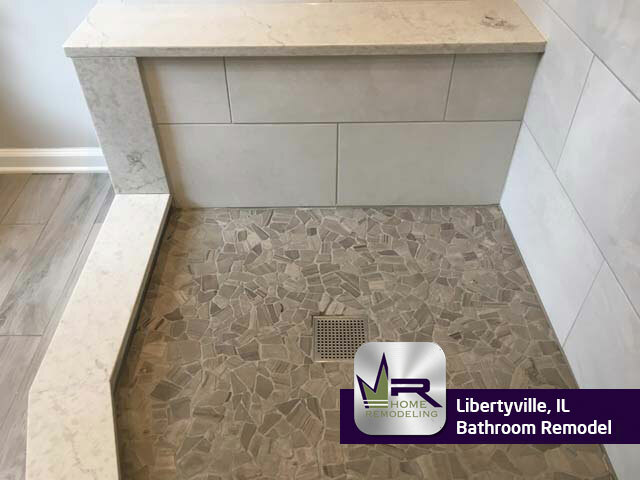 Libertyville is a lovely Chicago Suburb located 38 miles north of downtown. Neighboring towns include Green Oaks, Rondout, Vernon Hills, Mundelein, Ivanhoe, Grayslake, and Wildwood. Libertyville is an attractive village for many reasons, however, its Main Street is what draws in most residents and visitors. Here you can find countless restaurants, bars, shops, salons, and a variety of other places to spend your time in. Some of the most popular eateries include Casa Bonita, Shakou, Main Street Social, Milwalky Taco, and Tommy’s Pizza & Sports Pub. 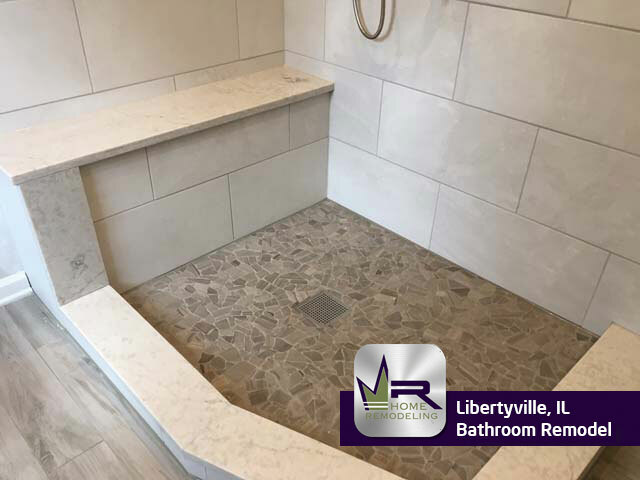 Libertyville is a lovely village with a very warm and welcoming atmosphere which could explain why its population is well over 20,000 people. 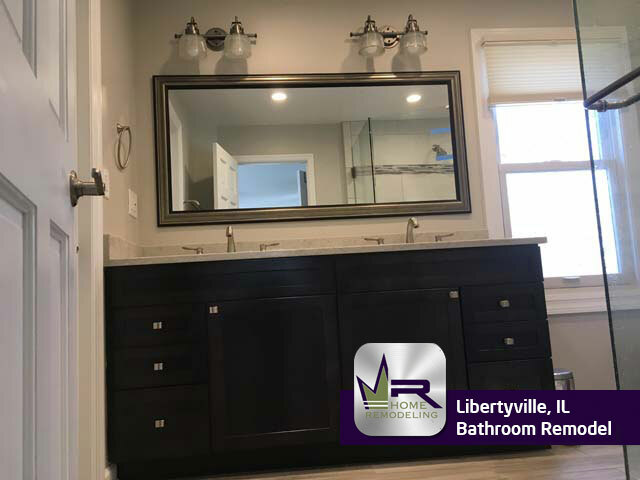 This bathroom was in need of a style and an overall appearance update. 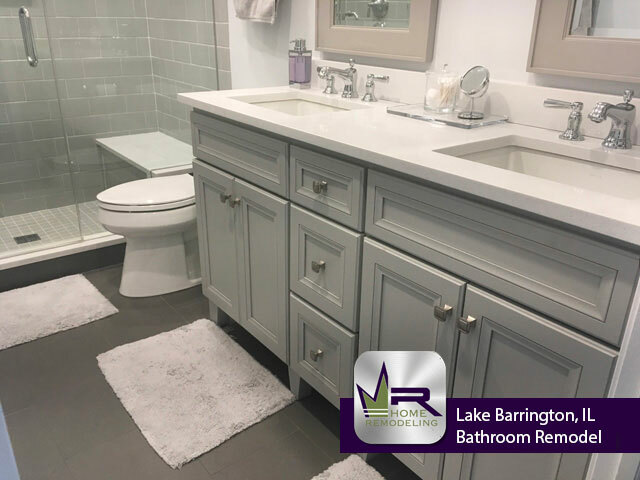 The customers were interested in creating a more contemporary bathroom space while making it more practical for everyday use. Another major issue was the size of the vanity. 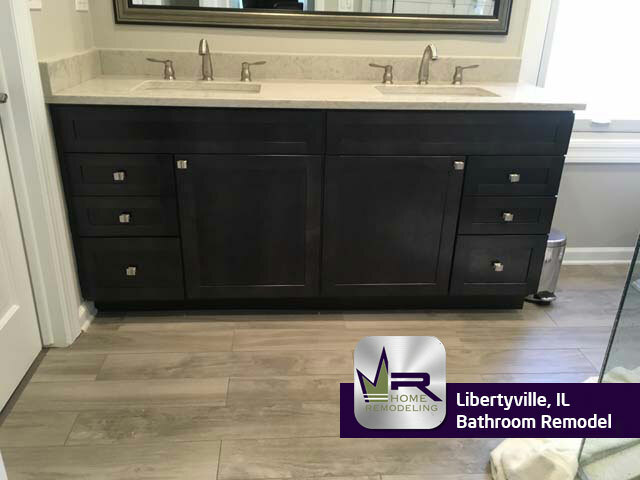 With more than one person using it, it was necessary to install a vanity that had two sinks and nearly double the countertop space and storage area. 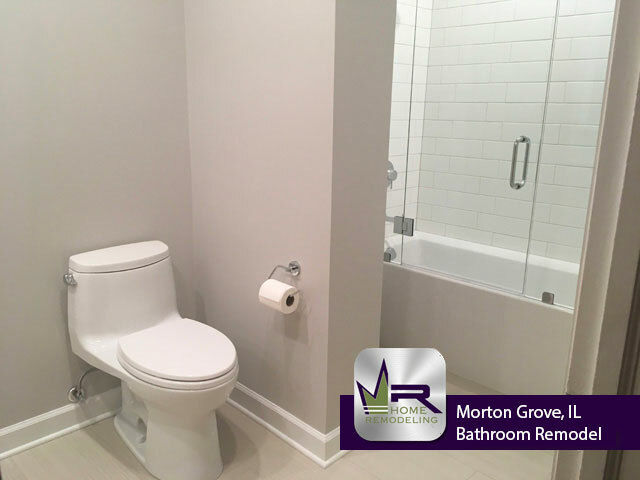 Overall, every aspect of this bathroom needed to be upgraded- flooring, shower, tiling, fixtures, and color scheme. 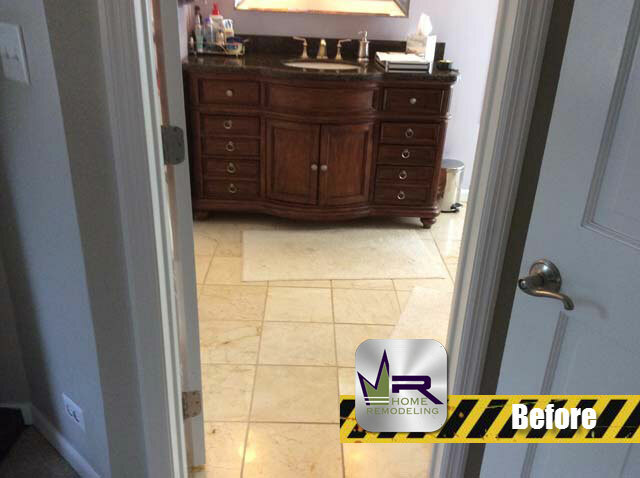 In order to make this possible, Regency would need to completely gut the existing bathroom to make the changes the homeowners desired. 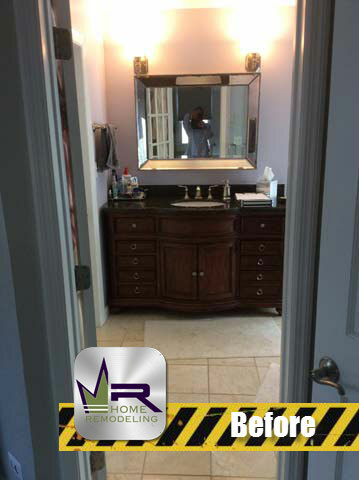 Regency did an outstanding job updating this bathroom! The most noticeable change comes from the overall style. 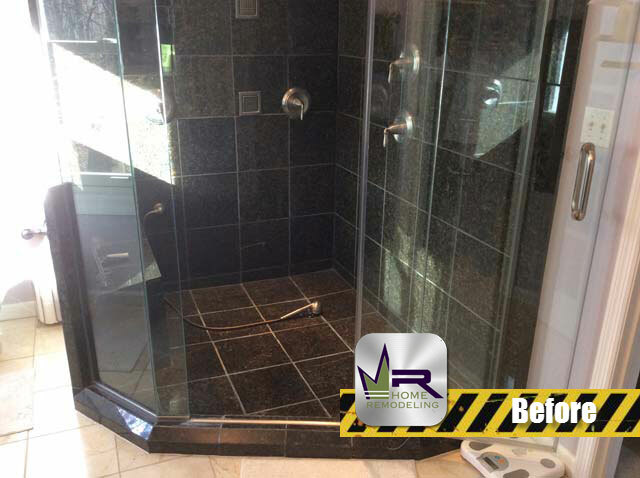 Regency got rid of the old and dated look and created a more contemporary bathroom that sets an elegant and luxurious appearance. 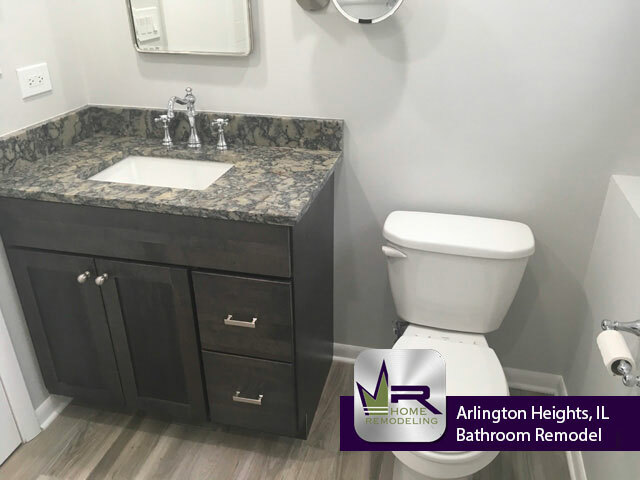 Since the preexisting vanity was a big issue to the homeowners, Regency installed a Java Coffee Maple vanity with a Quartz Carrara Aura countertop that is almost double the size of the old one and offers an additional sink, more countertop area, and more cabinet and drawer space. 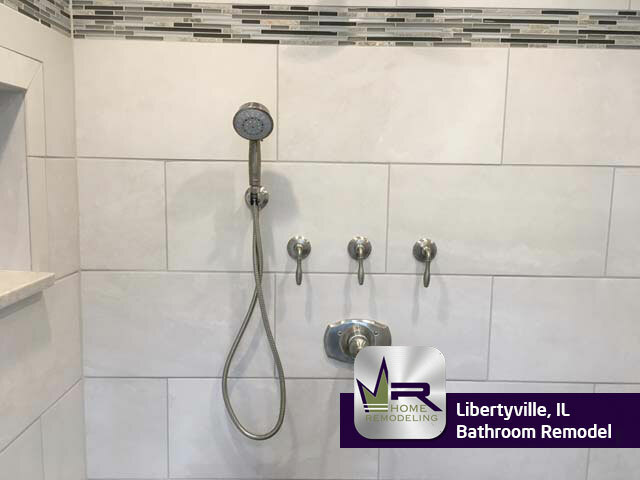 For the shower, the black tiling became old and boring to the customers, so Regency installed something more neutral- Sol Haira Dark tiling for the floor, Slate Attache Meta White tiling for the walls, and Ash Stix Mosaic for the accent. The main floor tiling was updated to Forest Park Willowgrove tiling- all tiling was supplied by Daltile. For added luxury, Regency installed premium fixtures from Kohler and Grohe, for example, the sink, faucets, shower head, etc. 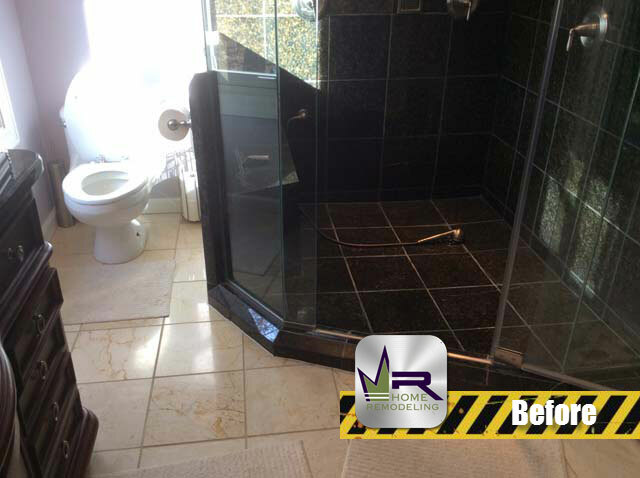 Overall, Regency went above and beyond the customers expectations when creating this bathroom. 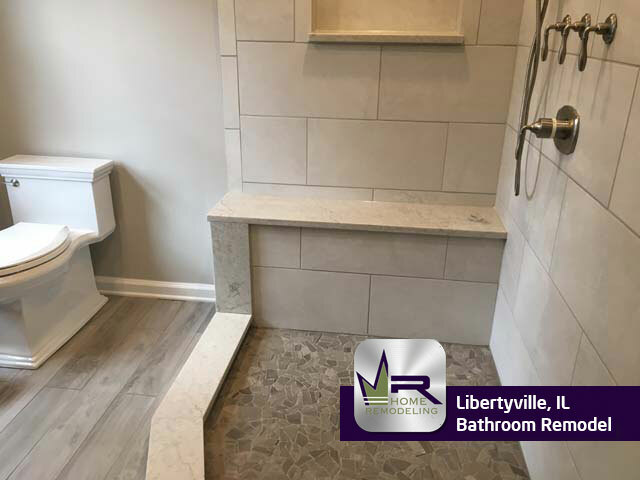 This family will be able to enjoy their new stylish and contemporary bathroom for many, many years to come. 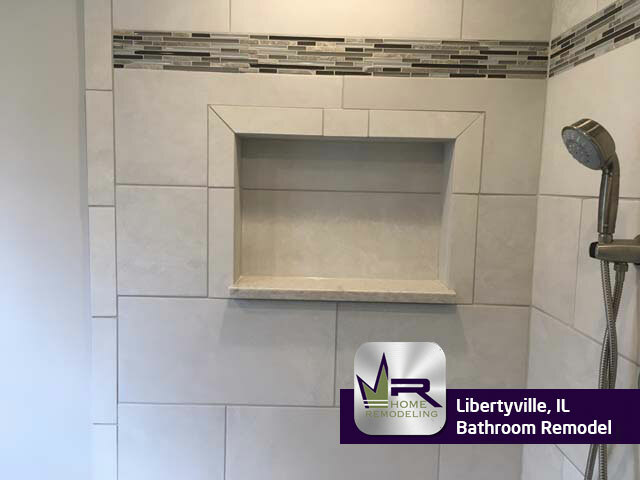 If you want a bathroom remodel in Libertyville, IL call the experts in home improvement, Regency Home Remodeling, at 1 (773) 930-4465.